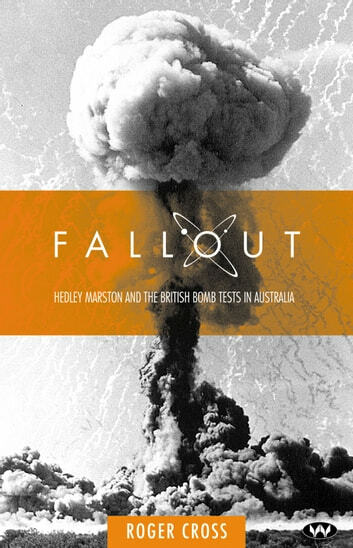 "Fallout" is the strange but true story of a celebrated Australian scientist's involvement in the 1956 British atomic bomb tests. Hedley Marston, an idol with his own feet of clay, was determined not only to reveal official lies and chicanery, but to expose as charlatans the Australian scientists who were appointed to protect the nation from any possible harm. Contrary to official pronouncements, radioactive fallout was blowing across the country and contaminating many towns and communities, including Marston's beloved Adelaide. The dispute that ensued was perhaps the most acrimonious in the history of Australian science. "Fallout" tells us much about the nature of science and our society. It is about science in service of the bomb, and in service of self. Roger Cross tells a story that must make us ask the alarming question: could we be fooled again?